Melle Cloche arrived on the bridal scene in 2010 when we opened the doors of our first bridal shop in the west end of Glasgow. Offering a unique selection of bridal headpieces, jewellery, shoes and lingerie from designers not available anywhere else in Scotland our aim was to offer brides that something a little different. After three years on Byres Road and due to our little shops popularity we launched our online accessories store, moved to bigger premises and expanded our products to include Bridesmaid Dresses. Then after five years of focusing on 'Everything but the Dress' we decided to take the plunge and opened our first bridal, bridesmaids and accessories boutique in the heart of Glasgow in the very cool Merchant City. Not only are we sisters but we're friends and business partners, and together we're passionate about Melle Cloche and giving brides and bridesmaids a fantastic experience in our Glasgow boutique. Our reputation has always been built on good, honest customer service and after years of styling hundreds of brides you're in excellent hands when you come to see us. We have an experienced team that work alongside us, including our fantastic seamstress who goes that extra mile to make every bride look and feel amazing in her dress. Set over two levels, our ground floor houses all our current collections and new arrivals along with our shoes and accessories and our lower floor has our beautiful private bridal room which is filled with our stunning sample and sale dresses and a dedicated bridesmaid area for your trusted girl gang! We have a small team of Seamstresses who have years and years of bridal and dressmaking experience and we trust them implicitly and so do our brides. We've yet to find something they can't do with a needle and thread and every dress that leaves the boutique is fitted perfectly to each individual bride. 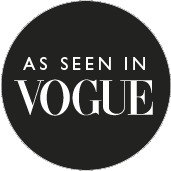 We regularly appear in the press and online and have been featured in top publications like Brides Magazine and You and Your Wedding, aswell as appearing in Vogue as one of their 'top picks' in Glasgow. We've been featured in The Herald, Sunday Mail, Daily Record, List Magazine, Evening Times and tipped as the 'Ones to Watch' by The Scotsman. We're contributors to numerous photoshoots and regularly appear in Scottish Wedding Directory, Tie The Knot and Brides magazine and are mentioned frequently in popular wedding and lifestyle blogs.